What's one good summer heist movie when you can have two? With Baby Driver hitting theaters today, we're getting a new trailer for the next original, star-studded crime flick to open during blockbuster season, Steven Soderbergh's Logan Lucky, and it looks like it may be just as much fun. Starring Channing Tatum, Daniel Craig, Adam Driver, Seth MacFarlane, Riley Keough, Katie Holmes, Katherine Waterson, Dwight Yoakam, Sebastian Stan, Brian Gleeson, Jack Quaid, and Hilary Swank, the story follows a pair of brothers looking to pull a dangerous heist at Charlotte Motor Speedway. And this is filled with the kind of big, crazy characters that Soderbergh loves, including Craig sporting a deep Southern accent that I'm not totally sure works, and yet it's perfectly okay in this world. 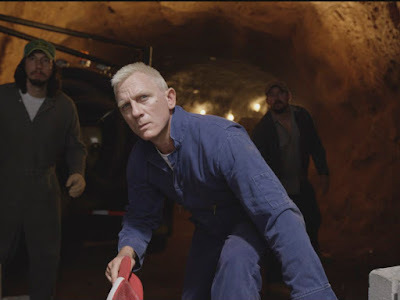 Logan Lucky hits theaters on August 18th.